Whether you need your yard cleared after a storm or a routine seasonal tree trimming, you can always count on the technicians with over 20 years of experience at Greenlight L Corp. Tree Service! Contact us today to book your next service! Do you need to have a tree removed? Are your trees in need of trimming and pruning? Whatever your tree care needs may be, contact Green Light Tree Service! Green Light Tree Service is a family owned and operated tree service company that has proudly been providing residential and commercial tree care across Long Island for nearly 20 years. Our staff of highly trained professionals have years of experience and always go above and beyond to deliver exceptional results for the clients that we serve. We are committed to providing the safest, fastest, and most efficient results at highly competitive prices. Green Light Tree Service always goes out on a limb to deliver complete satisfaction. Complete Tree Services for Nassau and Suffolk Counties When it comes to caring for your trees, no job is too big and no tree is too tall for the professionals at Green Light Tree Service. 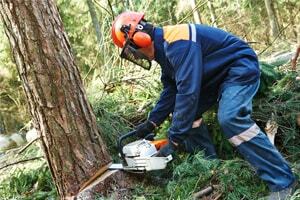 We offer complete tree services for both commercial and residential properties across Long Island. 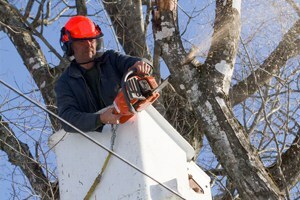 Our tree services include: · Tree Removal. Whether you have a tree that’s standing on its last roots or you just want to clear your property, with our tree removal service, your trees will be fully removed quickly and safely. Using state-of-the-art equipment and the most advanced techniques, our crew will remove any of your dead, dying, or unwanted trees. We’ll make sure that nothing is left behind; not a stump, a branch, or even a twig! · Tree Pruning. Tree pruning can prevent serious problems before they start and reverse damage that’s already been done, prolonging the life of the plant. Using the utmost care and extreme precision, our tree pruning experts will remove any dead or dying branches from your trees, restoring the vitality and beauty of the structure. · Tree Trimming. Overgrown trees are more than just unsightly; they can become a serious hazard. At Green Light Tree Services, our tree trimming professionals will trim back overgrown branches on your trees to improve their aesthetic appearance and improve the overall health of your trees. Whether you require tree removal, tree pruning, tree trimming – or any other tree service – Green Light Tree Service will deliver outstanding results at an affordable price. Long Island Tree Services that are a Cut Above the Rest Improve the safety and restore the beauty of your residential or commercial property! To learn more about our tree removal, tree pruning, and tree trimming services , or to schedule an appointment, contact Long Island’s leading tree care specialist – Green Light Tree Service – today! From seasonal cleanup to roof line clearing, you can trust the experts at Greenlight L Corp. Tree Service for the routine and 24/7 emergency services you need! No matter the size of your job, you can rely on Greenlight L Corp. Tree Service!